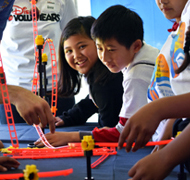 The 23rd annual Children's Water Education Festival, the largest of its kind in the United States, will be held March 27-28, 2019 at the University of California, Irvine. 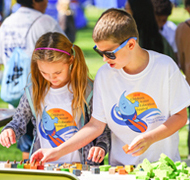 The award-winning event is presented by the Orange County Water District (OCWD), Disneyland Resort, National Water Research Institute and the Orange County Water District Groundwater Guardian Team. 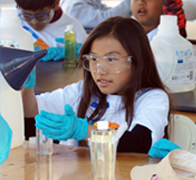 The Festival presents a unique opportunity to educate third, fourth and fifth grade students about local water issues and the environment and helps them understand how they can protect water supplies and their environment. 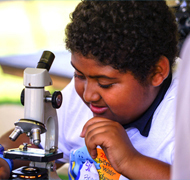 All presentations are taught to Next Generation Science Standards. 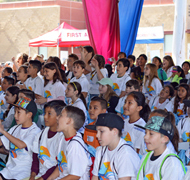 Since its inception, more than 129,000 Orange County students have experienced the Festival and all it has to offer. The Festival is provided at no cost to Orange County schools. Hosting an event of this magnitude is made possible by many generous sponsors, presenters and dedicated volunteers. We are proud to work with such committed organizations and individuals each year.